A SUNDAY TIMES HISTORY BOOK OF THE YEAR 'A triumph' Guardian 'Glorious ... makes the past at once familiar, exotic and thrilling.' Dominic Sandbrook 'A brilliant book' Mail on Sunday Just like us, medieval men and women worried about growing old, got blisters and indigestion, fell in love and had children. And yet their lives were full of miraculous and richly metaphorical experiences radically different to our own, unfolding in a world where deadly wounds might be healed overnight by divine intervention, or the heart of a king, plucked from his corpse, could be held aloft as a powerful symbol of political rule. In this richly-illustrated and unusual history, Jack Hartnell uncovers the fascinating ways in which people thought about, explored and experienced their physical selves in the Middle Ages, from Constantinople to Cairo and Canterbury. Unfolding like a medieval pageant, and filled with saints, soldiers, caliphs, queens, monks and monstrous beasts, it throws light on the medieval body from head to toe - revealing the surprisingly sophisticated medical knowledge of the time in the process. Bringing together medicine, art, music, politics, philosophy and social history, there is no better guide to what life was really like for the men and women who lived and died in the Middle Ages. 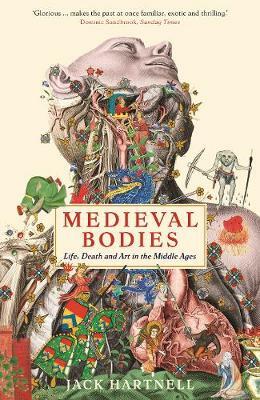 Medieval Bodies is published in association with Wellcome Collection.